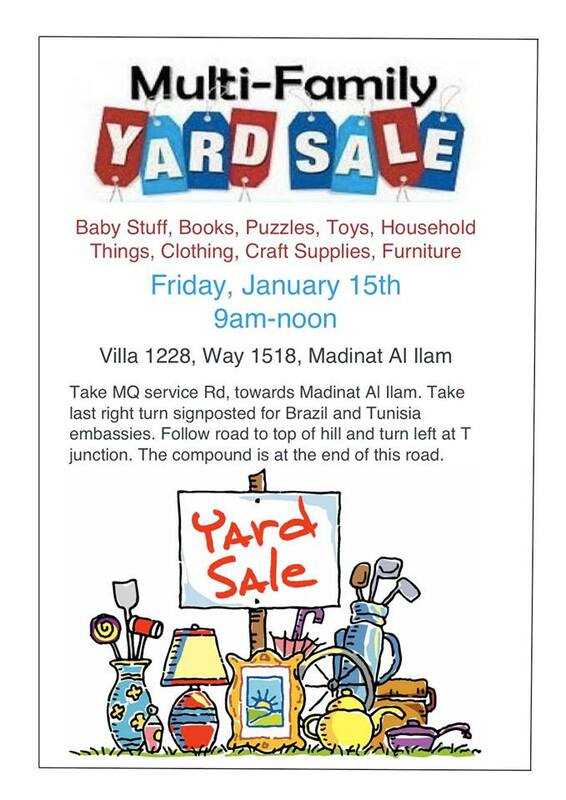 This NEXT Friday (15th Jan) between 9am-noon there is a yard sale being held in Madinat al Ilam. 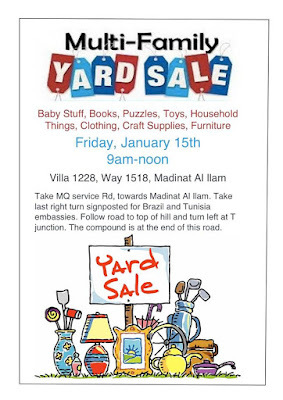 Baby stuff, books, puzzles, toys, household stuff, clothing, craft supplies, furniture and more. Directions are on the poster.